In the market for a new garage door opener? Doing some research regarding different types of openers? Let Handyman Garage Doors of Central and South New Jersey help you. Coupons of up to 15% off are available to give something back to the community. With a combined 100 years of experience there is not one type of garage door opener Handyman Garage Doors has not dealt with. If you want to be confident that your job gets done to perfection call us today at 732-822-0778. We both warranty and insure that the work is done. Handyman Garage Doors of New Jersey has a promise of 100% satisfaction. Do not forget to ask about our warranties for your garage door openers today. How does Handyman Garage Doors get a new opener installed? It is important to first clear up the three main types of garage door openers that are on the market. These are chain drive garage door openers, belt drive openers, and screw drive openers. Each garage door opener functions differently for different types of doors. Some doors require certain openers for them to last longer and to open and close smoothly. It is best for a trained technician to help you figure out what opener fits your needs best. Starting with the most popular, belt drive garage door openers are known for being extremely quiet while operating. This is an ideal choice if you have a room that is near the garage or if you just prefer less noise. The belt that pulls the garage is made of rubber so it also has a smoother operation. This does come with an increase in price, but is a top choice if you’re budget is not too limited. Some of the top belt drive openers are manufactured by Liftmaster and Chamberlain. Handyman Garage Doors is a direct retailer and has years of experience fixing and replacing Liftmaster / Chamberlain garage door openers. Next, chain drive garage door openers are noisier than their counterparts. It is operated by a metal chain going through the trolley which lifts and lowers the garage door. Their advantage is the price if you are on a limited budget. Chain drive openers can last a long time if maintained minimally by keeping the chain clean and making sure it is well lubricated. They are a great choice for lifting conventional and traditional doors that are away from rooms. These openers can sometimes cause trouble on heavier doors and are not recommended. Finally, there are screw drive openers. These openers are operated through a threaded “screwdriver” like steel rod which lifts and lowers the door as the rod rotates. Just like its belt drive counterpart this opener consists of minimal moving parts and requires much less maintenance and has fewer problems over the long run. Screw drive openers are very quiet and can be ideal for any types of garage doors. The vibration free smoothness and overall quietness makes it a great option. These openers can also lift heavier doors. 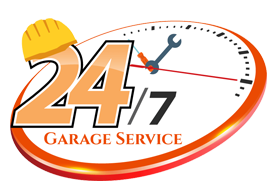 Garage door openers are motor like machines installed on the roof of your garage that operate the main mechanisms involved in the opening and closing of the garage door. It goes without saying that the garage door opener is the brain of the entire system. While every single part of your garage door is important, the opener serves as the main controller that responds to your needs. Most older garage door openers work with a transmitter just as many technology does. The garage remote sends signals to the opener which relays the action. Wifi integrated openers allow you to pair smartphones to your garage door opener. This uses Wifi from your home to relay its message to the opener. You can also track how often it opens and closes to measure its wear and tear. This also helps track if and when anyone is opening the door. Nonetheless, it can be useful if you like to have better control over your garage door. You can send a signal to the opener from anywhere to open it for family or friends for access. Don’t let it sound surprising, but a garage door opener actually does minimal heavy lifting when it opens your door. Nonetheless, the majority of the work is done by the tension stored in the springs of your garage door. All the door opener does it provide a little force to control how the tension of the spring is used to open and close the door. Furthermore, garage door openers can also act as a lock to prevent the door from moving if you set it. Once a springs tension is activated it helps pull the door up completely.